Woody Guthrie (1912-1967) was an American singer-songwriter whose folk music gave voice to people’s struggles and considered his songs as his weapon in the fight against injustice and hardship among many other things. 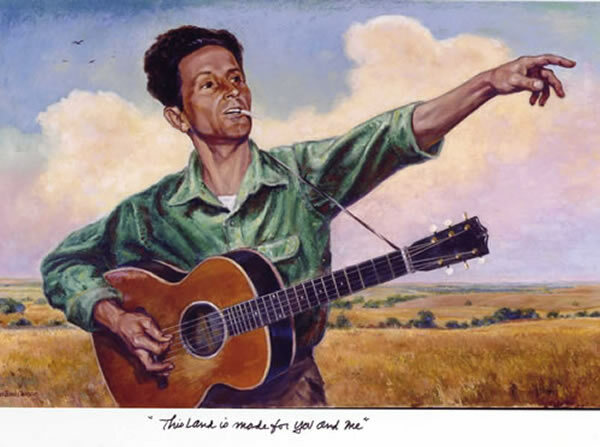 Woody Guthrie experienced enough tragedy and hard times to inspire thousands of songs. Alongside his passion to voice his own trials, Woody became a voice for more than just himself. He crisscrossed across America and made ends meet playing guitar and singing in saloons and work camps during the Great Depression. As he would follow his insatiable wanderlust, Guthrie would absorb certain ballads and styles of the folk style he heard on the road and would write song after song that reflected the struggles and good times of the ordinary people he would meet. Listeners responded immediately to Guthrie’s heartfelt, down-to-earth style. In the mid-1930s, The Great Depression had already swept across the nation, and a drought had hit the plains of the United States. The prairie grasses had been over-plowed and the dust that collected would sometimes blot out the sun. 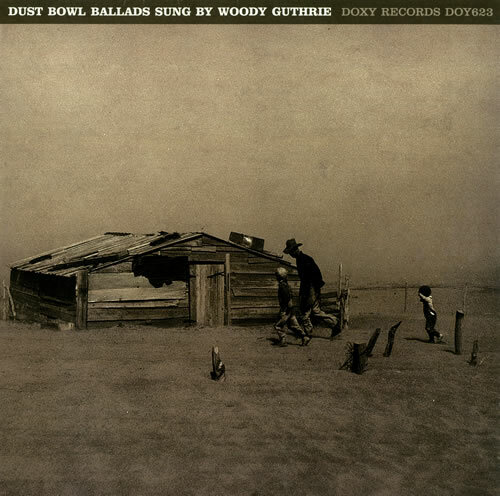 From his experiences in the “Dust Bowl”, Woody had realized the power that music had to capture the core of individuals and the events and places he understood. 1 Jackson, Mark. “Rambling Round: The Life and Times of Woody Guthrie — Woody Guthrie and the Archive of American Folk Song: Correspondence, 1940-1950 | Collections | Library of Congress.” Rambling Round: The Life and Times of Woody Guthrie — Woody Guthrie and the Archive of American Folk Song: Correspondence, 1940-1950. Library of Congress. Web. 2 Mar. 2015. <http://www.loc.gov/collections/woody-guthrie-correspondence-from-1940-to-1950/articles-and-essays/rambling-round-the-life-and-times-of-woody-guthrie/>.